A rare and beautiful Coadestone fireplace, circa 1790 from Capesthorne in Cheshire. After a fire and rebuilding, the fireplace was taken there in the 1860’s from the family’s house in Belgrave Square. 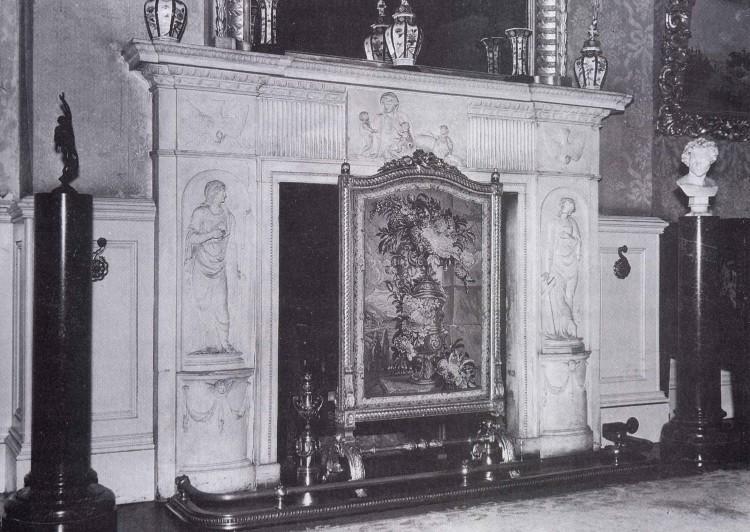 Belgrave Square post-dates the fireplace by about 40 years so it is quite possible that this fireplace was in the original Georgian Capesthorne. 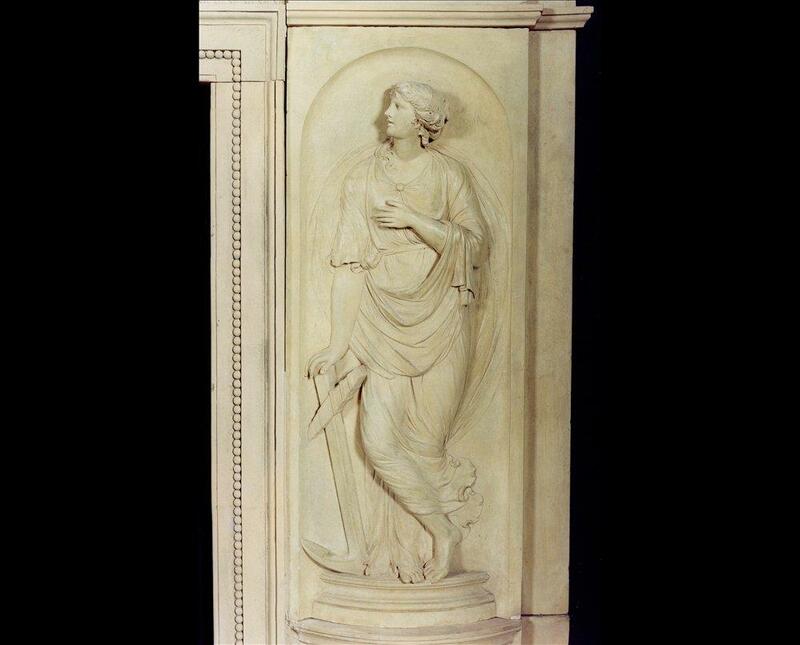 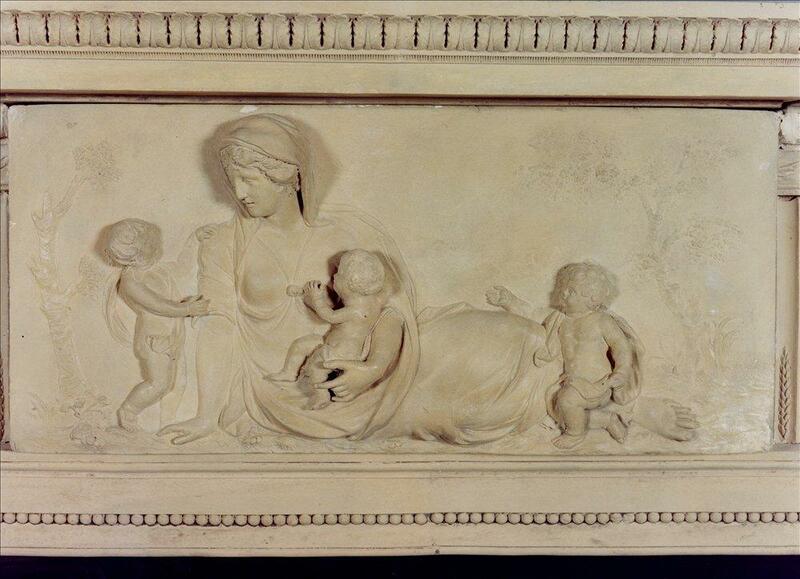 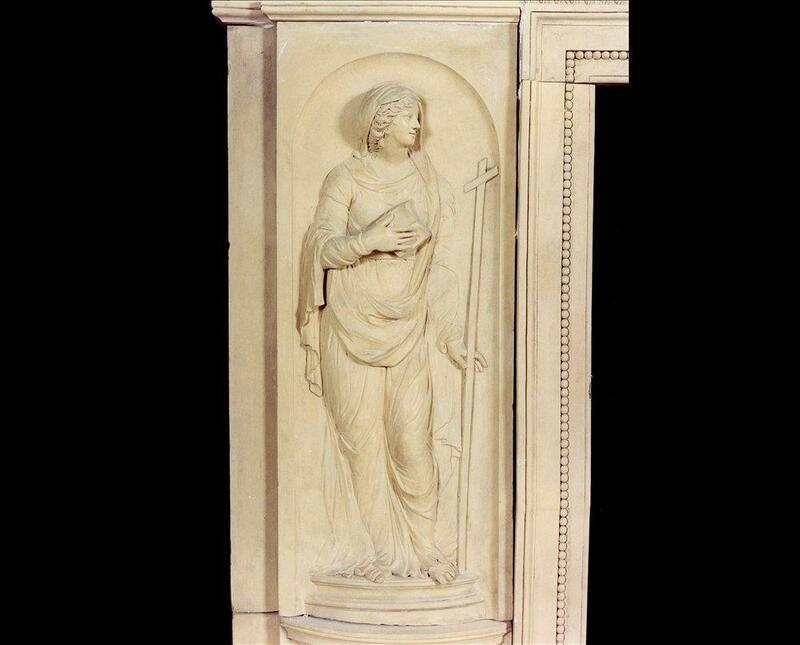 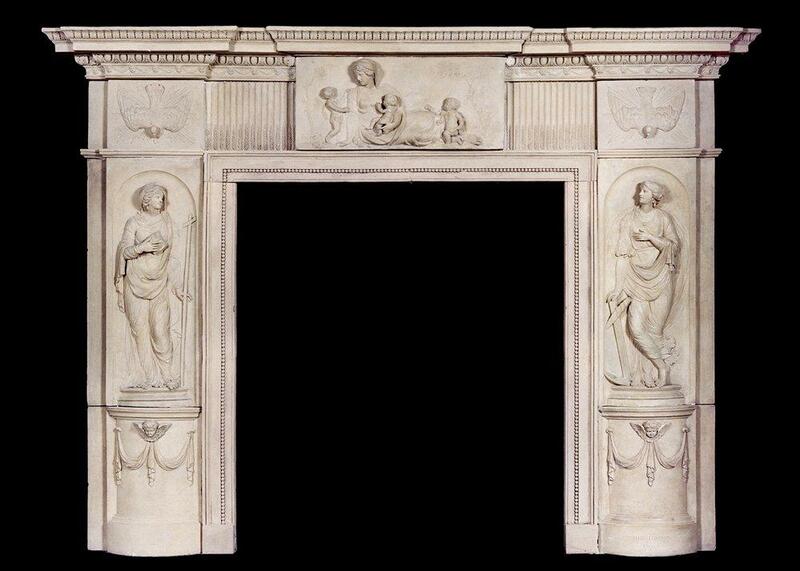 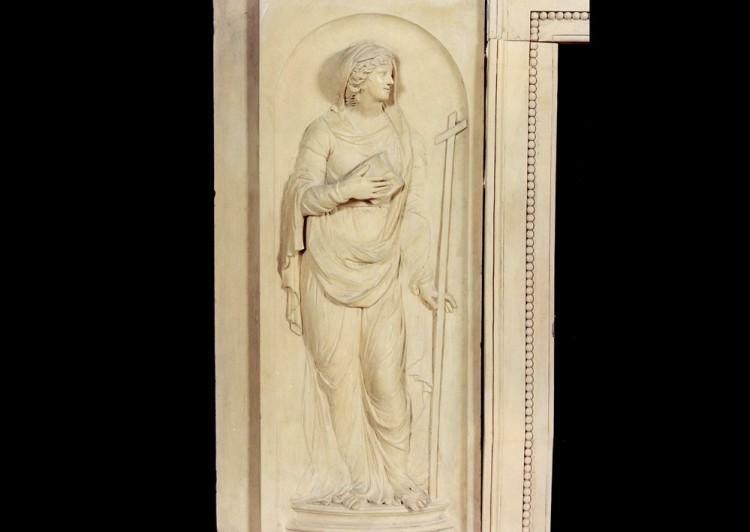 The frieze with classical figures to centre, the end blockings with finely cast dove. 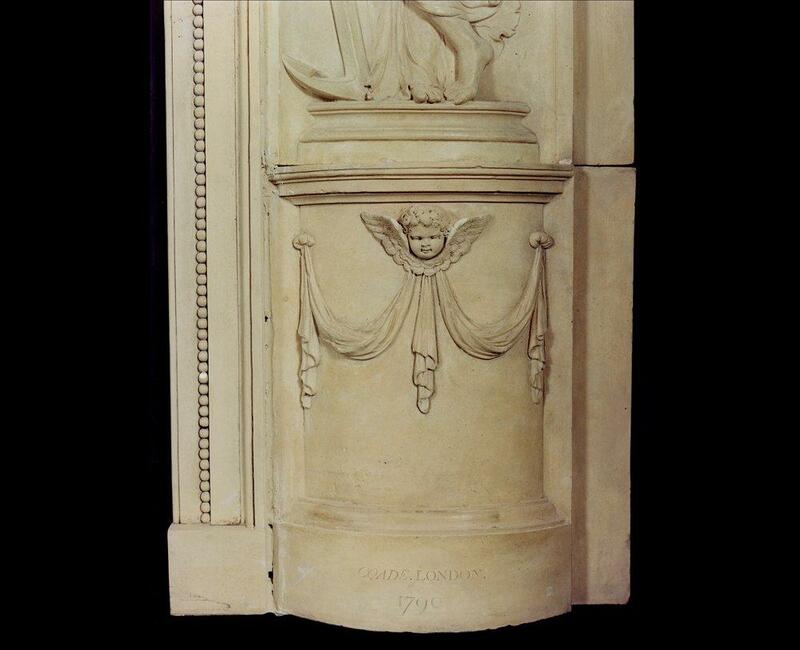 The jambs with classical figures and winged Putti masks and drapery below. 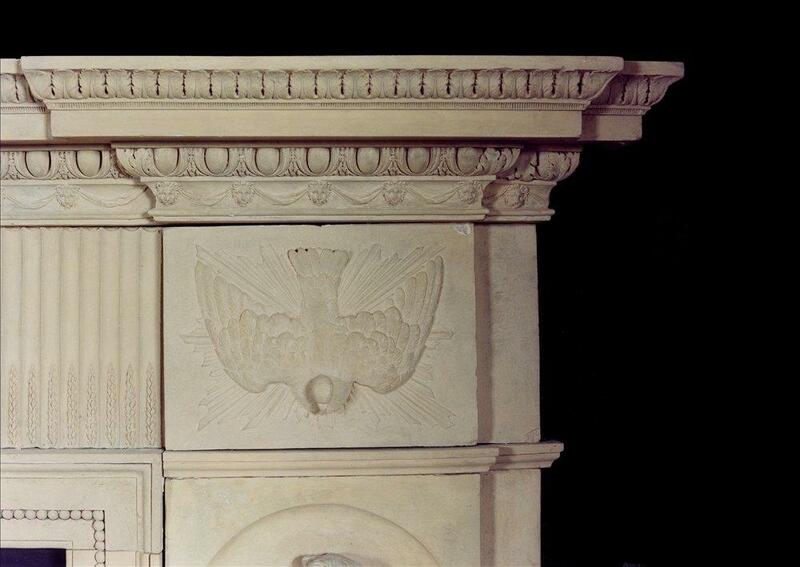 The shelf with Lion’s masks, egg and dart moulding and stiff acanthus leaves. 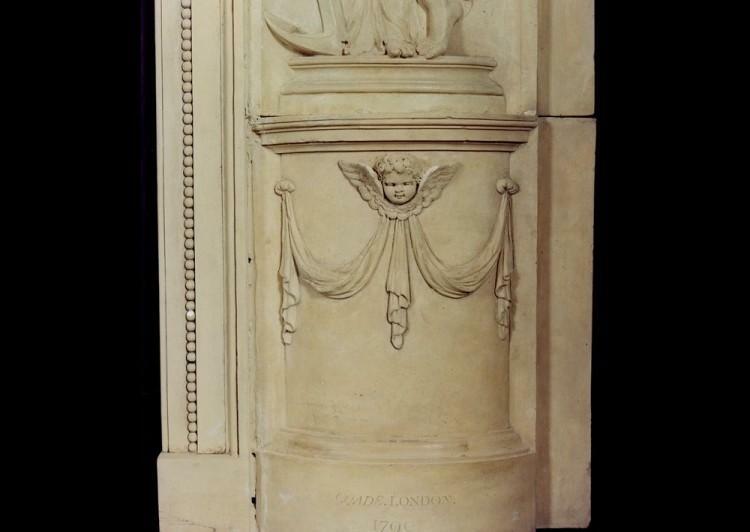 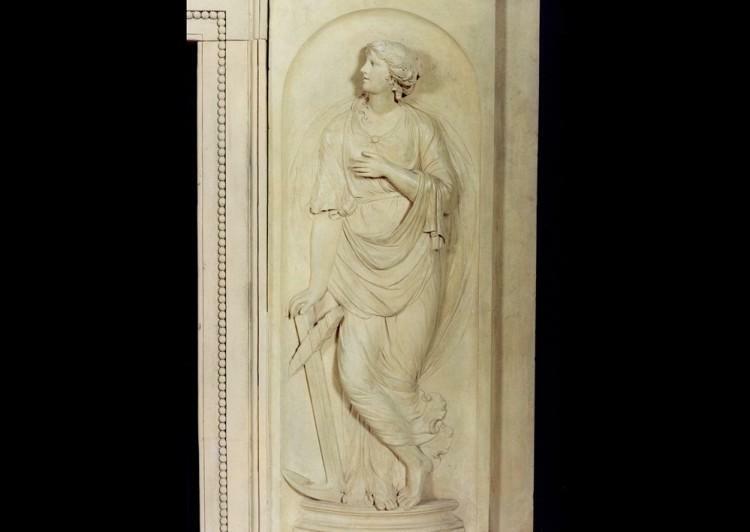 The plinth block engraved with “Coade, London. 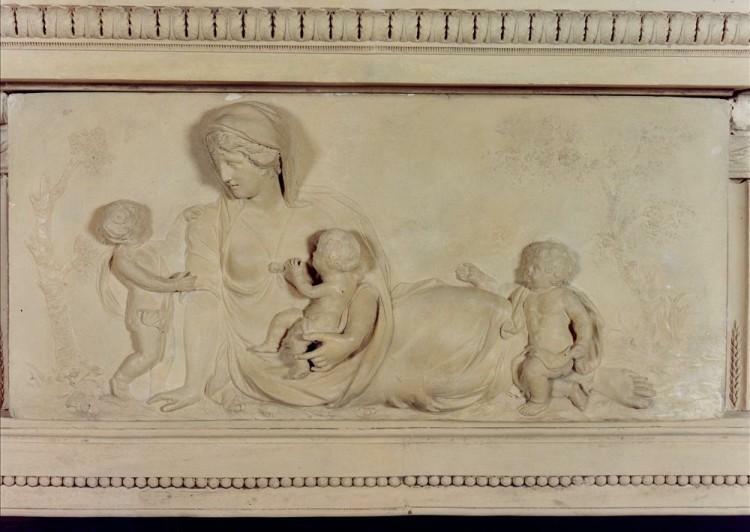 1790”.